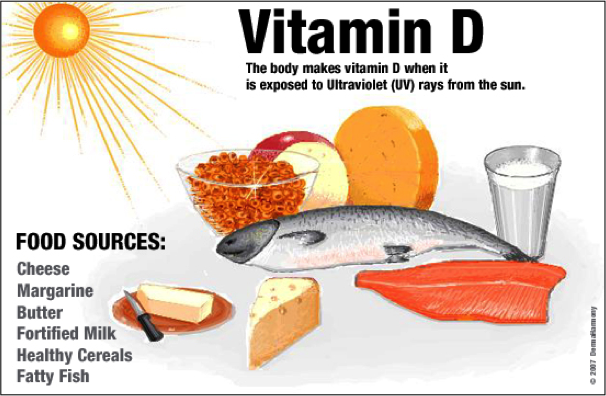 Vitamin D is a blazing hot topic in the field of nutrition. The latest research reveals that, in addition to its best known role in maintaining strong bones, vitamin D also plays important roles in building muscle, destroying cancer, suppressing inflammation, and controlling blood sugar, to name a few 1,2. 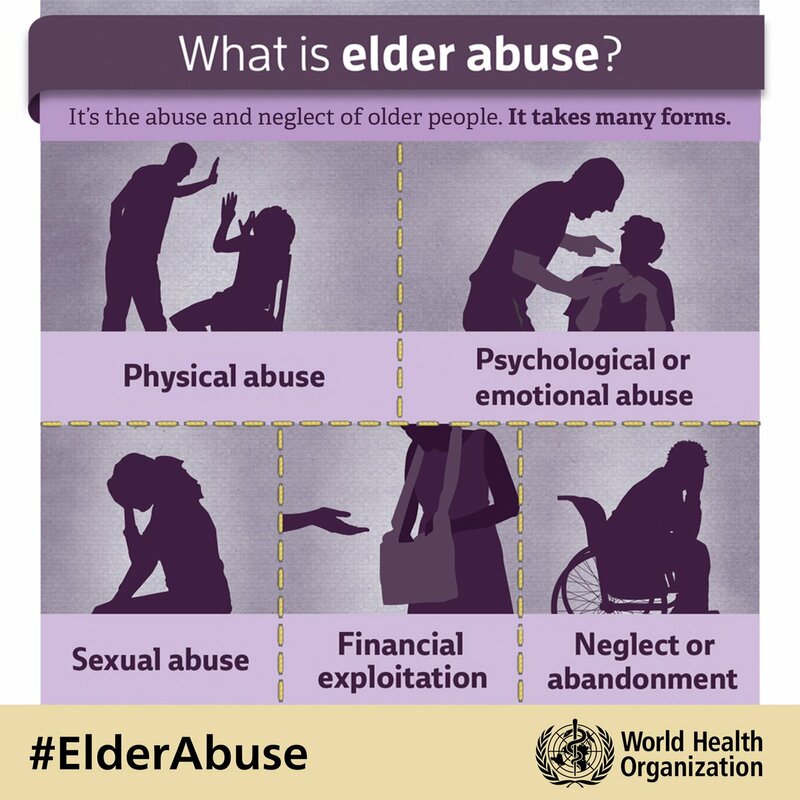 These actions defend the body against a number of health problems that are especially common in older adults. 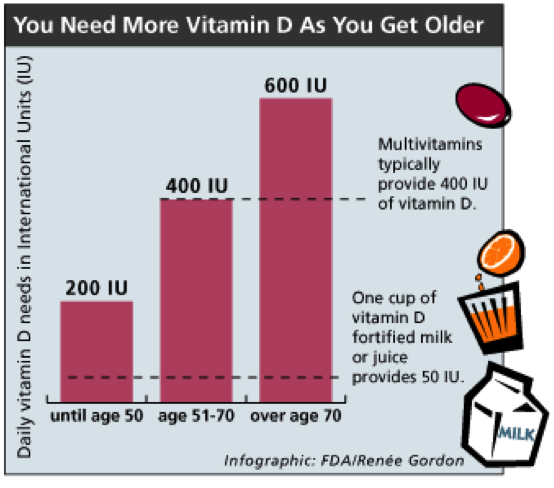 Vitamin D requirements increase with age. Despite all the new research, the exact amount of vitamin D needed for optimal health is still unclear3,4. The Dietary Reference Intakes recommend adults age 51-70 get 400 IU (international units) and adults over age 70 get 600 IU each day5. The Dietary Guidelines for Americans recommend everyone over age 50 get 1,000 IU each day6. Up to 2,000 IU is safe, although people rarely get that much. Skin can use sunlight to make some vitamin D. The rest must come from foods that naturally contain vitamin D, foods that have added vitamin D, and supplements. Unfortunately, most older adults have inadequate vitamin D because they need more, they eat less, and their skin makes less7. To get more vitamin D, enjoy some time outdoors, but remember that too much sun exposure is a risk for skin cancer. Consider food sources: fortified milk, margarine, juice, and cereals; fatty fish, such as salmon; and eggs. Talk with your doctor about vitamin D supplements. 1. Bikle D. Nonclassic actions of vitamin D. J Clin Endocrinol Metab. 2009; 94(1): 26-34. 2. Bernstein, Melissa. 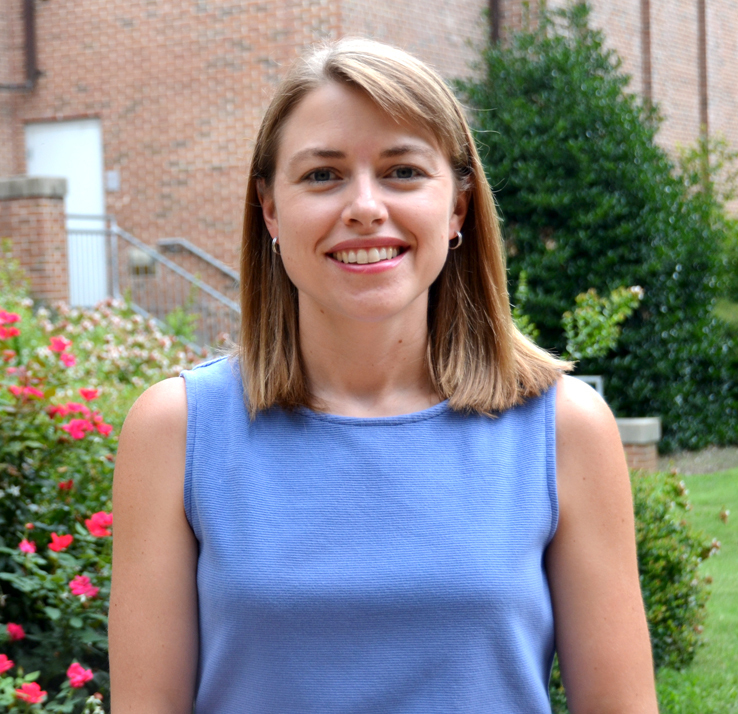 “Vitamin Status and Requirements of the Older Adult.” Nutrition for the Older Adult. 1 ed. Boston: Jones & Bartlett Publishers, 2009. 57-68. Print. 3. Vieth R, Bischoff-Ferrari H, Boucher BJ, et al. The urgent need to recommend an intake of vitamin D that is effective. Am J Clin Nutr. 2007; 85: 649-50. 4. Johnson MA, Kimlin MG. Vitamin D, aging, and the 2005 Dietary Guidelines for Americans. Nutr Rev. 2006; 64(9): 410-21. 5. “Calcium, Phosphorus, Magnesium, Vitamin D, and Fluoride: Dietary Guidance : Food and Nutrition Information Center.” Food and Nutrition Information Center. N.p., n.d. Web. 5 Oct. 2010. http://fnic.nal.usda.gov/nal_display/index.php?info_center=4&tax_level=4&tax_subject=256&topic_id=1342&level3_id=5141&level4_id=10587. 6. “Chapter 2 Adequate Nutrients Within Calorie Needs.” www.health.gov. N.p., n.d. Web. 5 Oct. 2010. http://www.health.gov/dietaryguidelines/dga2005/document/html/chapter2.htm. 7. Holick MF. Vitamin D deficiency. N Engl J Med. 2007; 357(3): 266-81.